We Want You To Be Absolutely Delighted By Our Services! 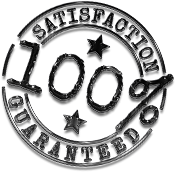 If for any reason, you feel you're not absolutely, Positively 100% happy with our work, I wont be happy either. I will not rest until we make it right. I will immediately send my team to fix the problem with no questions asked... If it's still not good enough we will pay a competitor of your choosing to fix it for you… That's how strongly I believe that you will love what we do! See why your neighbors have trusted our lawn care and landscaping services since 2005! Call now at 801-900-3808 to schedule lawn care services or to request a free quote in Lehi, American Fork, Highland, Pleasant Grove, and Cedar Hills, UT.